Virginia Democrats spent years alleging collusion between the Trump campaign and the Russian government in the 2016 election. While that’s since been proven to be a false, there is one collusion story Virginia Democrats aren’t talking about. In Central Virginia and the Valley, one liberal Senator won his Republican Primary election when a wave of Democrats flooded the polls. 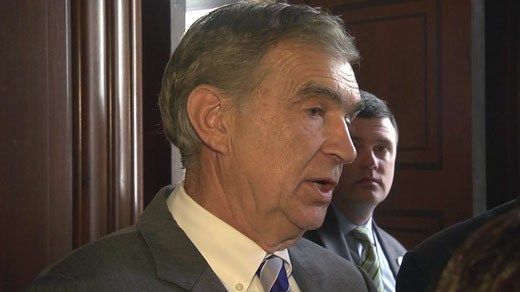 Senator Emmett Hanger is one of the more liberal Republicans in the General Assembly, and his record has earned him outrage among conservatives. With a voting record that has led to bottom-of-the-barrel scores from conservative groups such as the American Conservative Union, Virginia Citizens Defense League, and the Family Foundation, Hanger boasts one of the most left-leaning records of any Republican in either chamber of the legislature. Hanger’s record starkly contrasts the deep-red district he represents. As one of the most conservative districts in the Virginia Senate, the 24th district routinely votes 2-1 for Republican candidates in statewide races, yet Hanger consistently votes with the Democrat agenda. Most notably, this included Governor Northam’s Obamacare Expansion, and granting six million taxpayer dollars to Planned Parenthood and other abortion clinics. Now, it seems Hanger’s voting record has already saved him once in the Republican Primary in 2015. Voting data covering when Senator Hanger was challenged for the Republican nomination of his seat in 2015 reveals that Hanger’s left-wing voting record has earned him support from nearly 2,000 Democrats infiltrating his district’s Republican Primary. These are folks who asked for a GOP primary ballot in 2015 who otherwise vote in Democrat primaries for Governor and President. The concern among conservative activists is that Hanger is actively courting the Democrat vote in exchange for keeping his status as a Senator. Looking at the voter file in the 24th Senate District, a total of 1,726 Democrat Primary voters showed up to vote in the 2015 Republican Primary. These 1,726 Democrats were identified by cross-referencing those who voted in the 24th District GOP Primary in 2015, with those who also voted in the Democrat Primary for President in 2016 or in the Democrat Primary for Governor in 2017. Both elections in 2016 and 2017 included hotly-contested Republican primaries. In Augusta County, 12% of voters who came out in the 24th District GOP Primary voted Democrat in the other elections. In Waynesboro, the number grows to 15%. In the City of Staunton, it was over 26%. “What’s effectively playing out in the 24th District is a concerted effort where Democrats are infiltrating the Republican nomination contest in order to silence the conservative majority in the Valley and Central Virginia and keep Hanger in office,” stated Heiens. Shortly after Hanger’s victory in the 24th District Republican Primary in 2015, the Chairman of the Culpeper County Democratic Committee, Harold Boyd, revealed that Democrats voted for Hanger on Facebook. Hanger sided with the Democrats and killed a bill that would expand School Choice in Virginia in 2016. Also in 2016, Hanger was the deciding vote in the Senate that killed a bill to introduce Constitutional Carry (a key priority for pro-gun groups) and was the only Republican to vote against it. In 2017, Hanger voted against School Choice for a second time. In 2018, Hanger voted for Obamacare’s Medicaid Expansion. Outraging conservatives even further, Hanger voted to strip the Hyde Amendment out at the same time that he was ramming through Obamacare, leading to taxpayer dollars subsidizing the abortion industry. This year, Hanger also voted for the “Equal Rights Amendment,” which opponents challenge would potentially codify abortion into the Constitution. Also in 2019, Hanger was again the only Republican to vote against Constitutional Carry. Conservatives point to each of these votes as examples of Hanger siding with the Democrats on key political issues, and Tina Freitas, Hanger’s Republican challenger in the upcoming June 11th Primary, has explicitly cited these votes as reasons for her decision to run against Hanger. Freitas has blasted Hanger for his record on the campaign trail and appears poised to give Hanger his most difficult primary challenge yet. The question now is whether Hanger can survive a conservative revolt in his deep-red district. Hanger is campaigning to the left, focusing his campaign around the idea of good government and responsible leadership, despite his liberal record. Whether that message will resonate with the heavily conservative 24th District, or whether Democrats will turn out in large enough numbers for him to win the Republican Primary, will be revealed on the night of the election, June 11th. Virginia’s ‘Open Primaries’ are a plague! Why does the Va Republican party support Hanger and let him claim to be a Republican? Shut off the cash and primary him. Republicans decide the nomination method. So why did the 24th Senate District Republican Committee vote for primary instead of a Party Canvas or Nomination method, whereby the GOP could ensure that only Republicans can choose their GOP representative?! Hmm? The Incumbent Protection Act (IPA) was finally overturned, so Hanger couldn’t dictate his preferred method – primary – this time around.